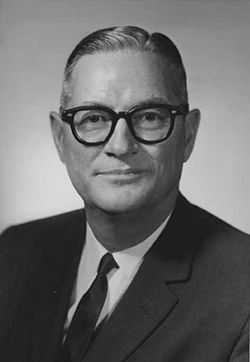 Edwin Richard Gilliland (July 10, 1909 − March 10, 1973) was considered by many as the most renowned and best all-around chemical engineer of his generation. For most of his forty year career, he was a professor at the Massachusetts Institute of Technology (MIT) where he served as the head of the chemical engineering department, chairman of the faculty and on numerous committees. Edwin Gilliland was born in El Reno, Oklahoma in 1909. When he was a child, his family moved to Little Rock, Arkansas, where he lived until he entered he University of Illinois to study chemical engineering, After graduating in 1930 with a Bachelor of Science degree, he then went to Pennsylvania State College where he obtained a Master of Science degree a year later in 1931. In the fall of that year, he transferred to MIT where he earned his Doctor of Science degree in 1933 under the direction of Thomas K. Sherwood for whom he then worked briefly as an assistant. His engineering talents were soon recognized by Warren K. Lewis who urged him to remain at MIT rather than entering industry. Gilliland agreed and began working with Lewis on the mathematical analysis of fractionating distillation towers. Subsequently, he spent the rest of his professional career at MIT except for a leave of absence in Washington, D.C. during World War II serving the United States Government. He was appointed as an instructor at MIT in 1934, an assistant professor in 1939 and a full professor of chemical engineering in 1944. He was appointed as the head of that department in 1961 and served as such until 1969. Gilliland was an inspirational teacher and especially stimulating to his better students. He was a popular choice of post-graduate students for supervising their Doctor of Science (Sc.D.) theses. He supervised more than 100 such Sc.D thesis in chemical engineering as well as a large number of Master's theses. He almost never missed a weekly two-hour session of oral reports from the post-graduate students who were engaged in thesis research. Many of his post-graduate students later became prominent in industry as well as teaching. As an instructor at MIT,he formed a friendship with professor Warren K. Lewis. They became close associates and, in 1934, when Gilliland was just 25 years old, he joined Lewis as a consultant to the Standard Oil Development Company which was the technical subsidiary of the Standard Oil Company (later to become Esso and then Exxon). That consultancy continued until his death in 1973. Stimulated by their consulting work at Standard Oil, Lewis and Gilliland began experimenting with fluidized beds of solid catalyst particles which rapidly led to the development of the fluid catalytic cracking process used in petroleum refineries to produce a high-octane component of gasoline. The first commercial adaptation of that process began operation in 1942 and the process played a very important major role in the production of the high-octane aviation gasoline needed during World War II. Gilliland also served for more than twenty-five years as a consultant to the Merck pharmaceutical company (also known as Merck Sharp & Dohme) on the production of many pharmaceutical products, vitamins, reverse osmosis and many other things. Among his many other consultancies were twenty-five years with the Dewey and Almy Chemical Company (later absorbed by W.R. Grace & Company, fifteen years with the Deering Milliken textile Company (now known as Milliken & Company) and other long-term work with Goodyear Tire & Rubber Company, the General Electric Company and the Nestlé food company. He also became involved in the executive-level administration of several high technology firms such as Ionics where he served as president from 1946 to 1964 and then as chairman of the board of directors until 1971. The association with Ionics fueled his interest in electrochemistry, ion exchange and electrodialysis, and his teaching and research programs in that field stimulated many of his students. Professor Gilliland went to Washington, D.C. in 1942 and served as the Assistant Rubber Director in charge of research and development for the War Production Board until 1944. He then became a member and a Deputy Chief of a division of the National Defense Research Committee in the Office of Scientific Research and Development. In the following year, he became Deputy Chairman of the Joint Chiefs of Staffs Guided Missiles Committee and also a member of the Industrial Disarmament Committee. After the end of World War II, Gilliland continued to serve the government including being appointed to and serving four years on the President's Science Advisory Committee under Presidents Kennedy and Johnson. 1944: The Baekeland Medal and Award for Achievement in Chemistry from the American Chemical Society. 1948: Awarded an honorary doctorate from Northeastern University. 1948: Elected as a member of the National Academy of Sciences. 1950: The Professional Progress Award from the American Institute of Chemical Engineers. 1954: The William H. Walker Award for outstanding publications from the American Institute of Chemical Engineers. 1959: The Murphree Award in Industrial and Engineering Chemistry from the American Chemical Society. 1965: The Warren K. Lewis Award in Chemical Engineering Education from the American Institute of Chemical Engineers. 1965: Elected as a member of the National Academy of Engineering. 1970: The Founders Award from the American Institute of Chemical Engineers. 1971: Elected as a Fellow of the American Institute of Chemical Engineers. This page was last modified 22:30, 16 June 2010.